The search for eternal youth has led more men and women to try every product promising a wrinkle free outcome without achieving significant changes in appearance. The microdermabrasion facial is an incredible enhancement, addressing the finest lines and age spots to blemish prone skin. Its specific application can generate remarkable results in a single application. Find your closest microdermabrasion therapist to receive the cosmetic and healthcare benefits of a modern rejuvenation facial. How Does Microdermabrasion Improve the Beauty of Your Skin? 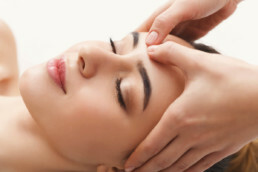 Microdermabrasion is a painless, non-surgical technique helping correct imperfections while producing a smoother, youthful appeal. The process of microdermabrasion includes a rod with a crystal particle base at the end, which is gently and evenly applied across the skin surface. The modern skin rejuvenating tool easily lifts dead skin cells revealing the supple, smoother dermis below. The old tissue is removed through a suction process, preventing clogged pores and a dull appearance. 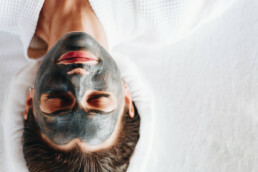 Microdermabrasion treatment as a facial is efficient. It is safely performed with the assistance of an experienced and reputable therapist. During therapy, the crystal base and suction action work to stimulate circulation. Providing the cells with higher levels of oxygen and nutrients can remove impurities and encourage faster healing at the tissue level. Your skin is improved from the inside out, supported by blood circulation. Its success lies in its ability to reach the deep, underlying layers of the skin. It removes superficial lines, fine crows feet and the formation of wrinkles before it becomes prominent. Microdermabrasion helps reveal the healthy supple skin upon removal of dead cells and tissue. Areas of fine lines, wrinkles and age spots are removed. 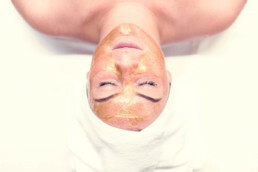 Microdermabrasion facials alleviate sun damage and support an even skin-tone. Acne prone skin is treated with microdermabrasion. This includes the removal of surface dirt and debris responsible for clogged pores and blemishes. 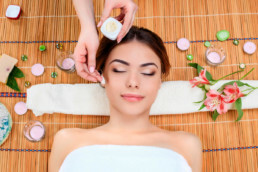 For a beautiful, younger looking skin, the Gallery Massage Studio at 3919 Tennyson Street Denver, Colorado, offers professional microdermabrasion facials. Visit us to experience everlasting beauty and a painless, non-surgical approach to a smooth, supple skin tone.